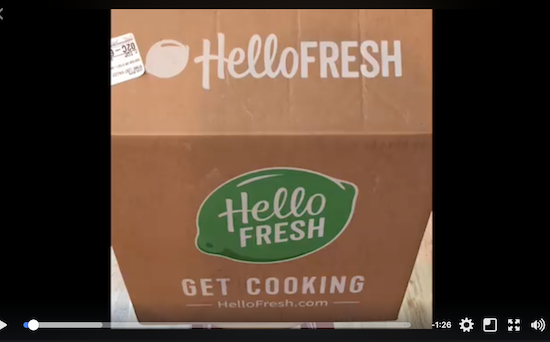 An honest, non-sponsored review of Hello Fresh, a service that delivers fresh ingredients right to your door with directions to make the easy meals. I’ve read quite a few things about meal service kits over the last couple years and have been curious about how they’d actually work for our meals. Being the cheapskate smart shopper I am, I immediately thought they’d be too expensive. And, well, they can be. But there are coupon codes and introductory deals that make them less expensive, and it’s this that led me to order a box of three meals from Hello Fresh. I thought I’d share my experience with it in case you’re interested in meal service kits. While all the reviews I do here are “honest” – meaning I only share truth with you, I included the word in the title as a way to indicate this isn’t a sponsored review, just my experience I wanted to share. 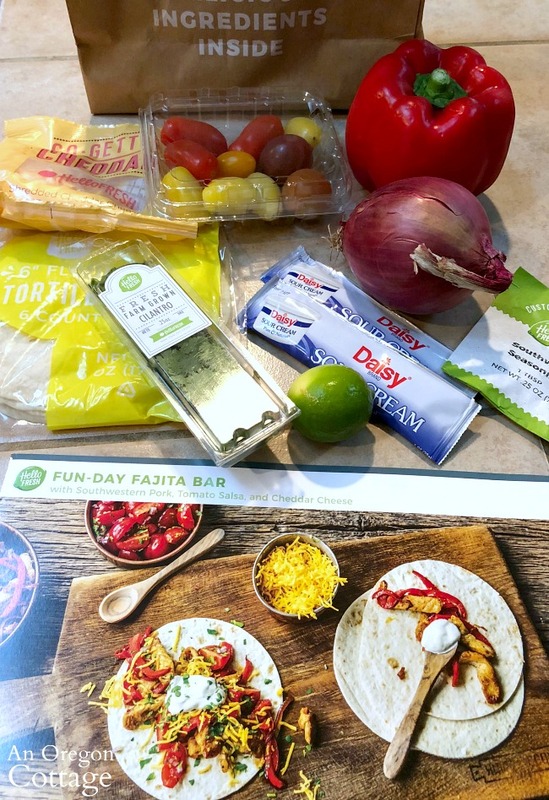 I purchased the Hello Fresh classic box as a first time purchaser with a standard $20 off coupon. 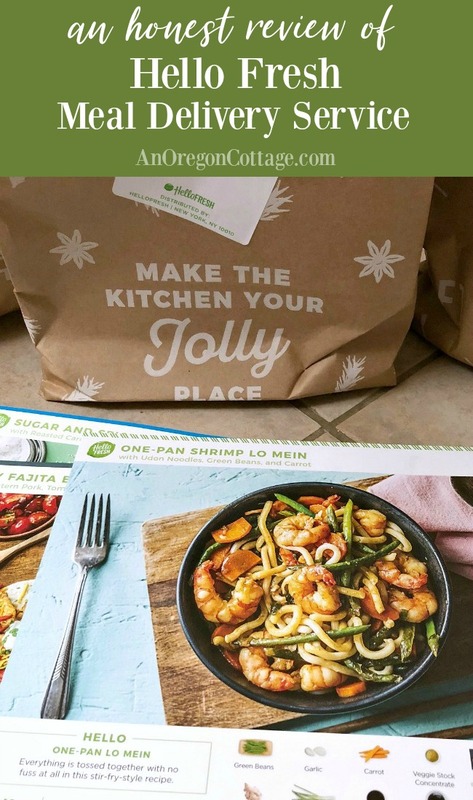 The coupon code I used was a part of the recent Ultimate Meal Planning Bundle, but you can often find them by searching for “Hello Fresh coupons” like I did here (if you click that you can see that right now there is a new customer deal of $20 off your first 2 boxes). Okay, let’s get to the review! I ordered a classic box for 2 people and chose from the 8 or so dinner options that week. 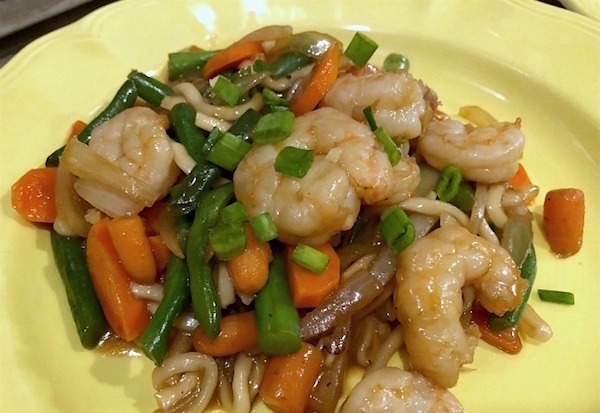 The recipes were Shrimp Lo Mein, Sugar and Spice Pork Chops, and Fajitas. Right after signing up and ordering, I got an email with all the details of delivery as well as information about using the service including an app they have to track delivery and manage your account. If I were going to use this regularly, I’d definitely download the app – that would make it even more convenient. I received the box in the afternoon when I was home. The company states that it is fine left out, however, if you aren’t home until later. You can choose the day it’s delivered, though, to coordinate with your schedule. I made a short unboxing video that I uploaded to Facebook for those curious to see what it looks like delivered to my semi-rural location (I’m about 25 minutes outside of town). I have to admit that this is what I was most interested in – how were they going to get it all to me and still be fresh? Click here or the image above to watch the short (1.28 minute) video on Facebook (there is a pretty good discussion in the comments of the pros and cons of meal delivery service, too!). If you watched the video, you will see that I was pretty impressed with the ingredients and the fact that all the ingredients where separated into bags that were so easy to pull out when it was time to cook. 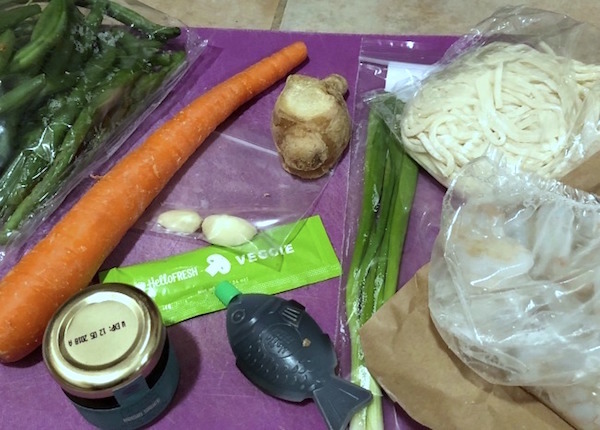 What I thought about after, though, was the fact that many of the fresh vegetables were set in the paper bags and therefore wouldn’t last that long in the fridge without starting to shrivel or go limp. So I planned to make the meals for the next three days even though the site makes it sound like you can make the meals any time during a week. And I’m glad I did, since by the third day the carrots for the pork meal were definitely starting to go limp which made them harder to peel. So you’ll want to think about that. 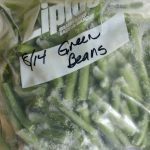 While there were plenty of green beans (which was the only thing in all the bags that didn’t look too fresh – good thing I started with this recipe! ), there was only one carrot and no regular onions, which I love. So I added two more carrots and half a large onion, sliced. The ginger was a lot bigger than needed – I froze the rest of the knob which is a great way to preserve ginger. I also added 1/4 tsp. of red pepper flakes since we like things a bit more spicy. Even though everything is prepared for you, there is room to make it your own. I was pretty impressed with the shrimp – both the amount and freshness, AND the fact that I didn’t have to clean them. We really liked the flavor of the dish and I loved the one-pan ease, but the fresh noodles were a bit chewy and had quite a bit of cornstarch on them. We loved the fresh salsa I made for this, though I did add fresh garlic because salsa without garlic…what? I actually wanted to make this easier (i.e., hands off) so I ditched the directions and made this a sheet pan dinner by tossing the sliced vegetables and chicken with garlic olive oil and the included seasoning. I spread it all on a large baking pan and roasted it at 450 degrees for 15 to 20 minutes. Um, yum. I appreciated the small-sized flour tortillas for portion control and one was perfect for me, though I did serve this with chips and some of my canned salsa. I added two more carrots to this, upping the total to 4 since cooked carrots are one of my favorites and I cut the sugar from a tablespoon to just a teaspoon. The glaze was only made with 1/2 cup of water and 1 TB of sugar just seemed too much – I prefer just a hint in savory dishes. I also cut the two pork chops in half, since one would’ve been too big for me, and cooked four smaller portions. You were supposed to spoon the glaze over the meat after slicing, but I wanted the spicy sauce on the veggies, too, so I scraped the roasted vegetables into the skillet and tossed them all together, nestling the cooked chops in and serving it from the cast iron skillet. Brian really liked this dish and thought it would’ve been a good company dish. He thought using the service to gain confidence to host others with tried-and-true recipes might be a plus for the service. There’s no denying it is FUN to get this box and make great tasting meals that are put together for you. It’s like the cooking shows where all the ingredients are prepped for you. This is why I think a box of meals would make a great gift for those just starting out on their own, weddings, young families, or older people who need some inspiration to cook for one or two. Or just anyone you can think of who would appreciate it! The ingredients are fresh and great quality – wild shrimp, natural pork, fresh herbs and more. 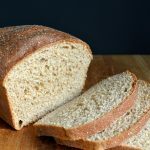 The recipes were easy to follow, easy to make, and took about 30 minutes to make. 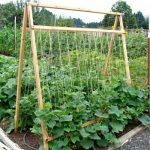 There is little to no food waste – this is a big deal in today’s world of increasing food waste. I’m assuming that you eat your leftovers, if you have them, as lunch the next day, a-hem. Speaking of that, Brian and I always had leftovers and quite a bit of the fajitas. So we got one lunch from two of the meals and two from the fajitas for four more meals total. The packaging is the thing I hear most concerns about (with cost being #2) and I have to agree it’s a lot of packaging over all. Not as much on the food as I initially thought and most of it was paper that can be composted. But the packaging needed to keep things cold and fresh is huge, really, especially if meals come regularly. How many large ice packs can you use for picnics, after all? 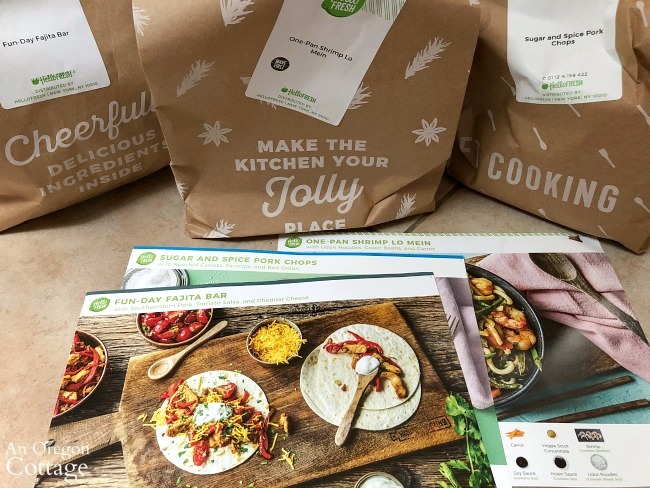 Cost: Hello Fresh advertises the classic box at just under $10 a serving – the entire meal is $20. As an example, I felt the fajitas were very similar to the tacos Brian and I get at Baja Fresh with chips and a salsa bar. Three tacos costs us around $10, so about half the price of the Hello Fresh – and I didn’t have to cook it. With the coupon the meals were about $13, making them much closer to the taco example. I don’t think I’d do this at the regular price just for us, though I can see instances where it might be an answer for some (like those who can’t get to stores easily for some reason). So would I do it again? If I found another coupon, yes! I think it’s a fun way to get out of a rut and get inspired to cook again. All of the meals I made would be easy to make again, and I will be making versions of the pork and root vegetables and the fajitas for sure. Now it’s your turn – have you tried a meal delivery service? What did you think? 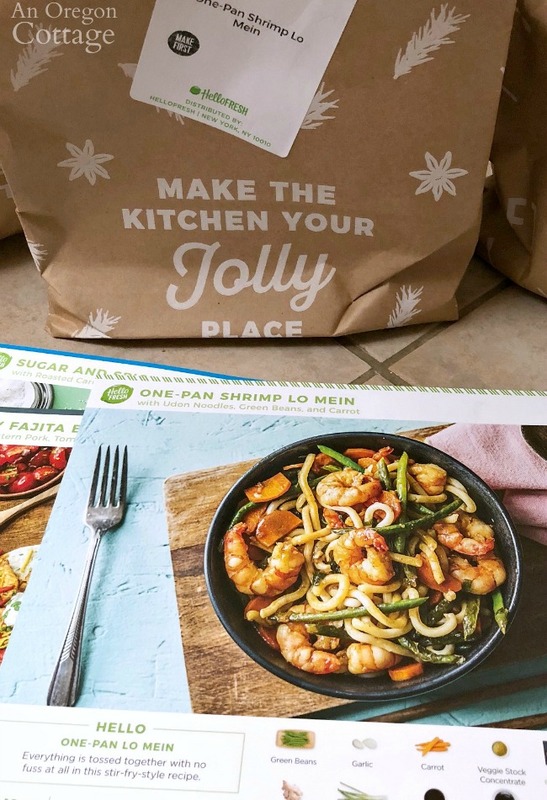 Iv been using HelloFresh in the UK for about 8 months now absolutely love it! Less packaging would be great but they have promised to get better at this and seem to be slowly creating different solutions. The cook book is also pretty cool, have you tried it? No I haven’t – I’ll have to look for that. I have been using Blue Apron for about a month now and love it. Great meals, fresh ingredients, and we (hubby and I) always have some leftover for lunch the next day. It has gotten us to try new things like farro (tasty!) It has made cooking dinner much more fun, and the meals are healthier than what I had been cooking. As far as cost, we are about even because we don’t eat out as much. After years of cooking daily for a family, Blue Apron is a real treat for me. The only downside is all the packaging. We recycle most of it, and I am saving the quilted foil bags to use as Christmas wrapping ….. Your thoughts echo what I thought the meal services would be good for, Martha – it sounds perfect for you. And I love that idea of using the bags for gifts – genius! Hi Jami, in 2015-16 we tried 5 different food box delivery services. We tried Blue Apron, Hello Fresh, Plated, Marley Spoon and Purple Carrot. We were given Blue Apron as a gift; the others we signed up with a discount code. We kept Blue Apron and Hello Fresh for almost a year. They were the absolute best when it came to customer service, great recipes and fresh food. Purple Carrot is vegan- 100% plant based. We absolutely loved it but it was the most expensive and the recipes had about 800 steps. It was delicious, but too foo-foo for us! We loved the idea of a vegan meal twice a week, though. We did not care for the recipes from Marley Spoon…the food was fresh, but not very interesting. I can make pasta at home from my pantry! It was also up there in cost. We loved Plated, but consistently had to call because something leaked out, or the veg was bleah. I also live in a semi rural area but we got our deliveries the next day- except last winter. Snowmageddon in Northern Nevada did impact our delivery schedule a few times- they couldn’t make it from the Bay Area since highway 50 and highway 88 were closed due to too much snow! This article made me think about re-upping with a box service again. I loved the portions with no waste and the price per meal was really not bad. 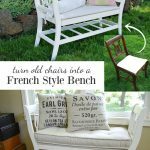 Wow, Michelle, I should’ve gotten you to do a guest post, since you’ve had so much experience with all of them! Thank you for taking the time to write here to let anyone else who reads see your take on the different services. 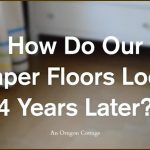 I can see how they would be fun to get regularly – it was like a treat when the box came and I couldn’t wait to make dinner. When was the last time I felt like that about dinner? 🙂 I’m such a cheapskate, I’d need a coupon, but I’d do it in a heartbeat if I got one! Oh, this is good to know because I did think it would be a great gift for someone like your mom. I know I’d enjoy it if I were in that situation. What a sweet daughter. 🙂 Too bad about the delivery mix-up, though that was nice that they credited her! The calories on the meals I had were all in the 500-600 range per serving, since the meals served 2 – I wonder if that’s where the discrepancy came from? I love boxed meal deliveries but feel similarly about cost and the amount of packaging. I know I’m paying more for shipping and, in some cases, better quality ingredients but it’s still painful to part with the money. I enjoy trying new dishes and they send ingredients that aren’t available at my local store (I’m very rural too and need to start a garden!). I’ve tried Plated, Blue Apron and Green Chef and they’re all good all similar. Most of my food has been fresh with the exception of basil, that’s always brown by the time I get it and that’s frustrating.